I am all about productivity (and efficiency and time management). And this video from Asap Science and Sparring Mind is the most amazing. I watch it every single time I’m having a hard time getting started on a project. 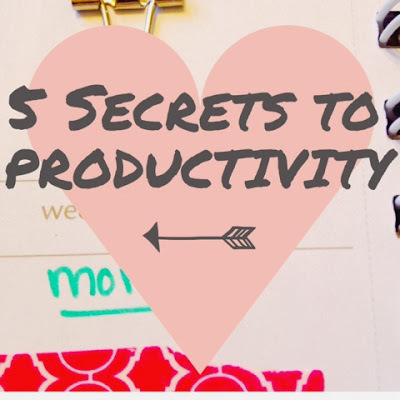 Create your to-do list (*swoon*) before you begin. So, to all of those people who think that planning is a “waste of time” (actual quote from my husband), here is some scientifically based evidence proving the contrary! And I love planning (and being right)! Starting a project is the biggest hurdle to productivity. And we all know it. So stop making excuses and JUST GET STARTED! You will feel more compelled to finish after you start. I mean, how else can you get that lovely nagging feeling? And that feeling is totally motivational. Give yourself a deadline. I am also the queen of deadlines. And meeting them. If you give yourself a due date for your assignments (especially the ones that don’t have a deadline), meeting it gives the best sense of accomplishment ever! Track your progress. 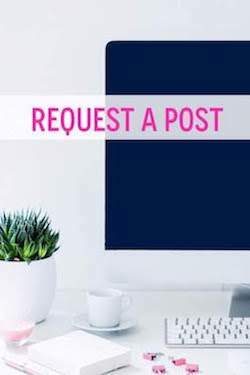 Create an accountability chart and write down what you worked on… if you wasted an hour (or 7) on Facebook or Pinterest, writing down a big fat “NOTHING” will probably gently encourage you not to do that again. Depend on habit and scheduling. How do you get out of bed right when the alarm goes off? Habit. How do you still brush your teeth even when you could have fallen asleep 53 minutes ago? Habit. We do those kinds of things every day without even thinking (stressing) about them. Assignments, projects, tasks, work, etc. should be no different. Just schedule time into each day to work and to relax. Most importantly, WORK during the work time and RELAX during the relax time. 90 minutes of work followed by 15-20 minute breaks. This is one of my most favorite productivity strategies ever. I set a timer for 1.5 hours and then I work for 1.5 hours. When the timer goes off, I do something fun or relaxing for 15-20 mins… just make sure the activity is an easy one to stop (unfortunately, I have learned that I cannot organize my hall closet during this time, no matter how many times I try). And be sure to save this video somewhere on Pinterest! Add your favorite productivity habits below.